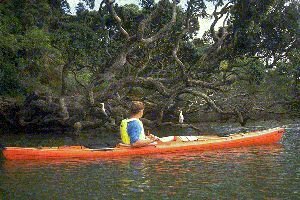 Westland National Park encompasses the area of coastline through to the Southern Alps, between Okarito in the north to Karangarua River in the south, along State Highway 6, on the South Islands West Coast. The impressive Franz Josef and Fox Glaciers are the best known scenic attractions of Westland. Both these vast glaciers are 11 kilometres long while both of their terminal icefalls lie in the green rainforest just 250 metres above sea level. Aside of these two glaciers, Westland contains about 60 more named glaciers, half of which could be classified as large. And there are high mountains, huge snowfields, alpine grasslands and herbfields, extensive forests, lakes, hot springs, large roaring rivers and waterfalls. Around Franz Josef you will find walks that range from 5 minutes to 5 hours. The Visitor Information Centre at Franz Josef township can provide all the useful information you require on such walks as Peters Pool, Lake Wombat, Roberts Point, the Glacier Terminal, Sentinel Rock, Alex Knob, Tatare River - Terrace Track and several Historical Viewpoints. 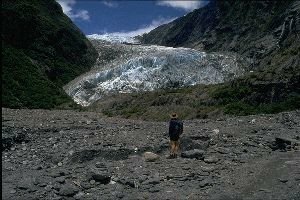 There is little scope for longer tramps around Franz Josef or Fox Glaciers, as most trails that head inland invariably turn into Mountaineering Routes. South by 26km from Fox Glacier is the start of the Copland Valley track. This popular track leads to the famous Welcome Flat Hotsprings. The trail to the Welcome Flat Hut can be covered in about 6 hours from the road-head. Remember that all sidestreams on this tramp are very prone to flooding, especially during times of heavy rain, assess all crossings carefully. Also with bathing in the Hot Springs, DO NOT allow your head to become submerged, no matter how annoying the sandflies are, there is a very real risk of contracting amoebic meningitis. Both Franz Josef and Fox townships have a wide selection of accommodation types, everything from campsites to luxury hotels. (there are Backpackers at both, a YHA at Franz). Everything you need, EXCEPT BANKING FACILITIES!